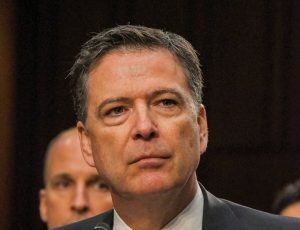 Former FBI Director James Comey testifies in front of the Senate Intelligence Committee during hearing in the Hart Senate Office building June 8, 2017, in Washington, D.C.
Last week, President Trump revoked former CIA Director John Brennan’s security clearance. Since then, the president has threatened to revoke the security clearances of several other senior officials. Brennan, a vocal Trump critic, believes the president is trying to silence his political opponents. “Mr. President, what do you say to those who say you’re trying to silence your critics by taking away their clearances?” ABC News reporter Jonathan Karl asked Trump. But actions speak louder than words, and as Washington Post contributor Aaron Blake points out, all of these scorned senior officials seem to have one thing in common: they’re all connected to the Russia investigation. 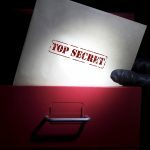 Top Secret: highly sensitive information that poses a grave threat to national security if leaked to the public. Secret: classified intelligence that carries a moderate risk if exposed. Confidential: private data that carries a relatively low risk but could still cause damage if disclosed. Those who have served in high capacity positions, such as former CIA Director John Brennan, often retain their security clearances even after their term has ended. This is because former senior officials are often called upon at a later date to act as advisers.